PS Audio has announced the availability of Sprout100, the next generation of their Sprout integrated amplifier. Sprout100 preserves the styling and compact form of the original, while improving the performance. 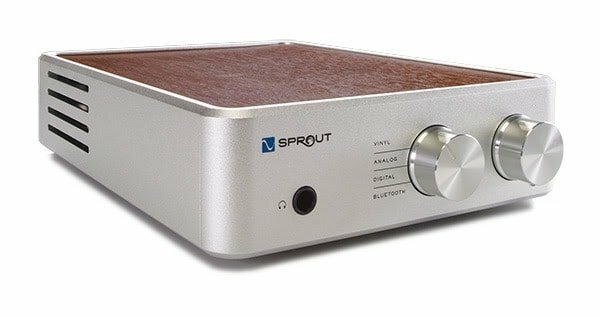 Sprout’s signature features remain: a built-in DAC, Bluetooth, phono preamp, headphone amp, power amp. 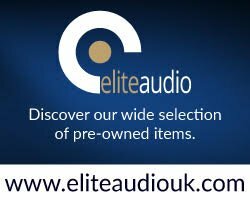 Revised topologies improve the noise levels and dynamic capabilities of the phono pre and the headphone amp; the Sabre 9016 replaces the previous Wolfson DAC and the latest ICEpower modules are used. In addition, the Sprout100 features: An upgraded amp capable of 50 wpc into 8Ω and 100 wpc into 4Ω. A fully asynchronous DAC that can handle 384/24 PCM or double rate DSD. A dedicated subwoofer output. An optional bass boost. A remote control. Analogue RCA inputs and outputs and a TOSLINK optical input. US MSRP is set at $599.